If you’re in awe of how scholars of the past observed color, here’s another intriguing look at the history of hues. 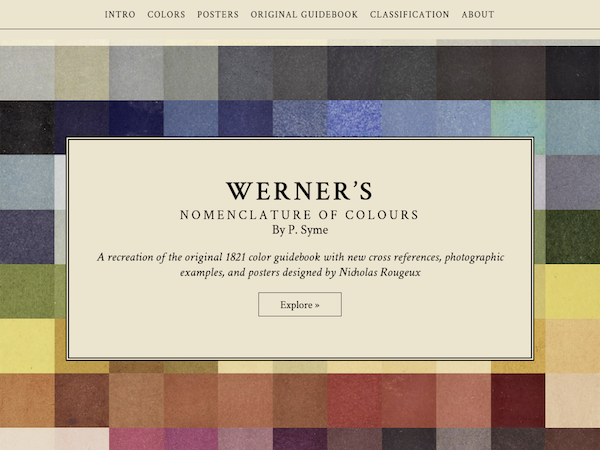 Designer and “data geek” Nicholas Rougeux has converted the 1821 Werner’s Nomenclature of Colours guidebook—written by Abraham Gottlob Werner and Patrick Syme—into an online archive for easy perusal. 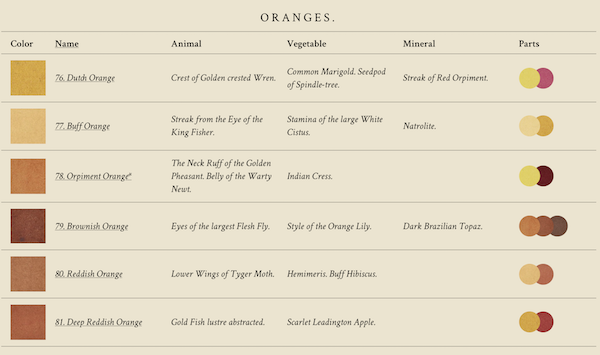 Since the book isn’t copyrighted, Rougeux decided to optimize it for today’s creatives. 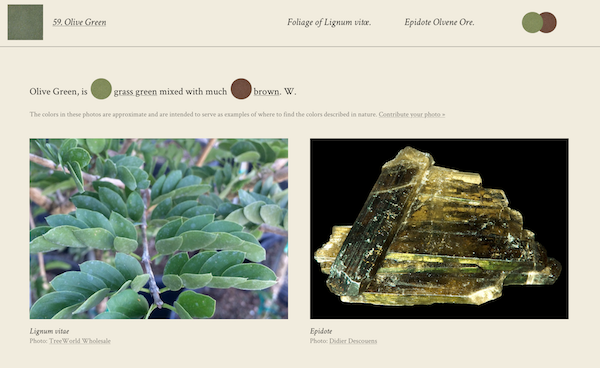 The site is categorized into master colors, with 110 swatches that are accompanied with photographic references of the flora and fauna they’re based on. You can check out the impressive tool here.